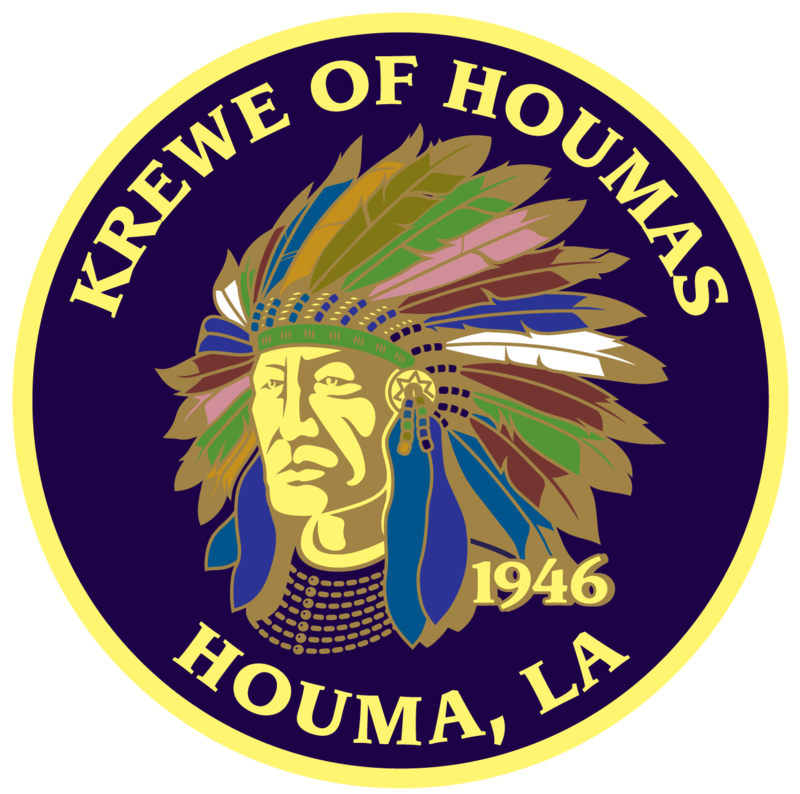 The Krewe of Houmas follows the traditional West Houma route starting at the Southland Mall and ending at Town Hall on Barrow St. This year's parade will be one of our largest ever! With some new, larger floats and plenty of marching bands from around the state, the Krewe of Houmas is striving to put on a grand show on Terrebonne Parish's biggest day of the year! The parade will begin at 1pm on Mardi Gras Day. 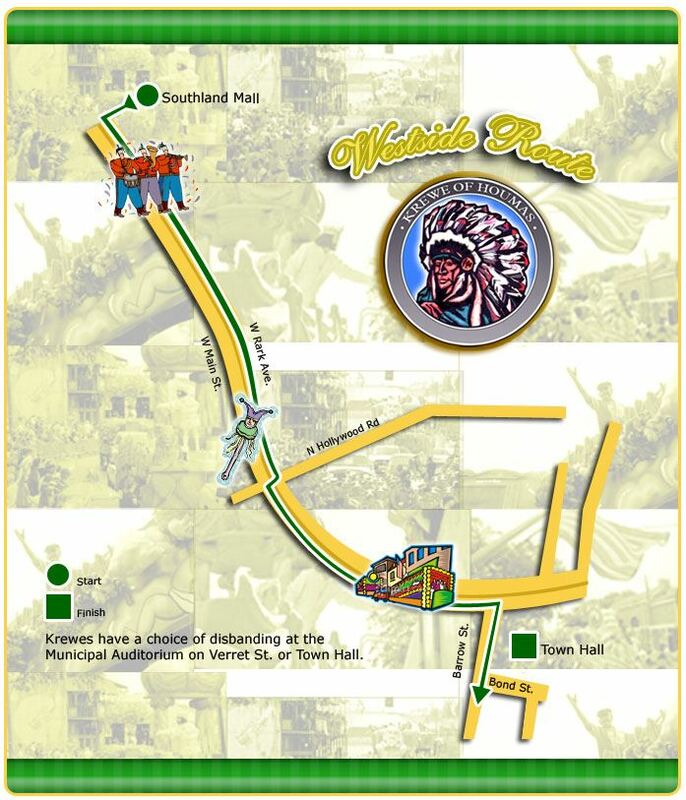 Please obey all laws and regulations while respecting the law enforcement officials, riders, and drivers in the parade. The Houmas parade always includes an array of excellent bands drawn from the best high school, junior, and military units locally and statewide. They help to add a colorful musical dimension to Mardi Gras in Houma. The battle of the bands concept is something new to the Tri-Parish area, and unique to the Krewe of Houmas. The tradition of having 5 independent band judges staged throughout the route instead of at the reviewing stand has allowed more crowd-oriented performance. This year's line-up includes ensembles from North and South Louisiana, and Houma metro area battling for the coveted grand champion prize. Bands will be judged on appearance, sound, marching style and crowd appeal. Examples of past winners include units from Vandeblit Catholic High, E D White Catholic High, Carrol High School (Monroe, LA), and St. Martinville Senior High School. The Grand Champion wins our BEST BAND banner, an automatic invitation to the following year's parade, and a cash prize.